Submitted by rocknicehunter on Wed, 09/15/2010 - 5:54pm. 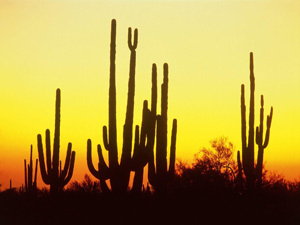 Pima County, Arizona is a large county that comprises most of southern Arizona. The city of Tucson is located within Pima County. This file contains 44 county parks. Missing from this file are three parks, Tucson Mountain Park, The Rillito River Park and The Santa Cruz River Park. The reason why these parks were excluded is because of their size and extent. The Tucson Mountain Park is over 20,000 acres and has multiple entances, trail heads and other facilities. The Rillito River Park extneds 11 miles along both shores of the river bed between I-10 and Craycroft Road and can be accessed at points where major roads cross over the river, or from many of the other county parks adjacent to this park. The Santa Cruz River Park is similar to the Rillito River Park in that it has multiple entry points at major crossings and extends 7 miles in two parts from Grant Road to Irvington Road. The other 44 parks contained in this file are both large and small and are mostly centered around the populated area of Tucson, but there are several parks in Ajo as well. This information includes features, amenities, hours of operation and other details. Some facilities require reservations and user fees, so consult the website to full details. There are currently 7 users and 30 guests online.